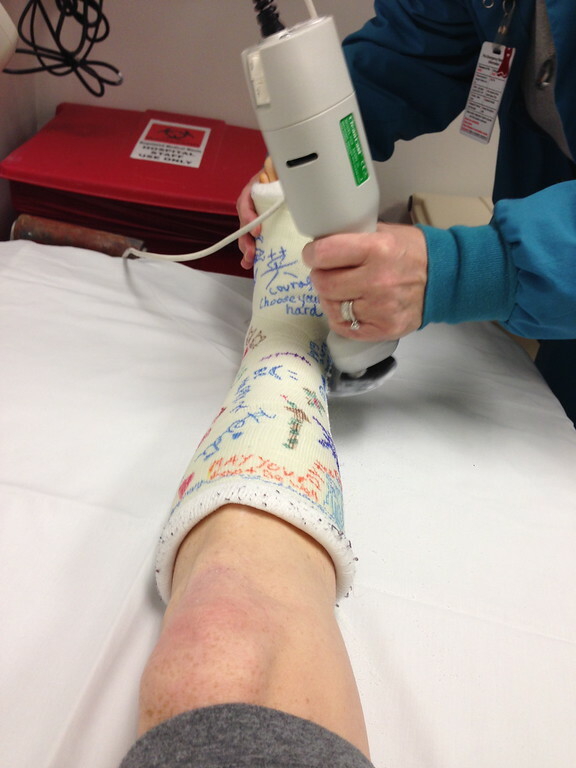 The fiberglass cast was removed (with a big saw!) on January 29. I was sad to lose all the artwork but happy to wiggle my toes and bathe my foot for the first time in six weeks. 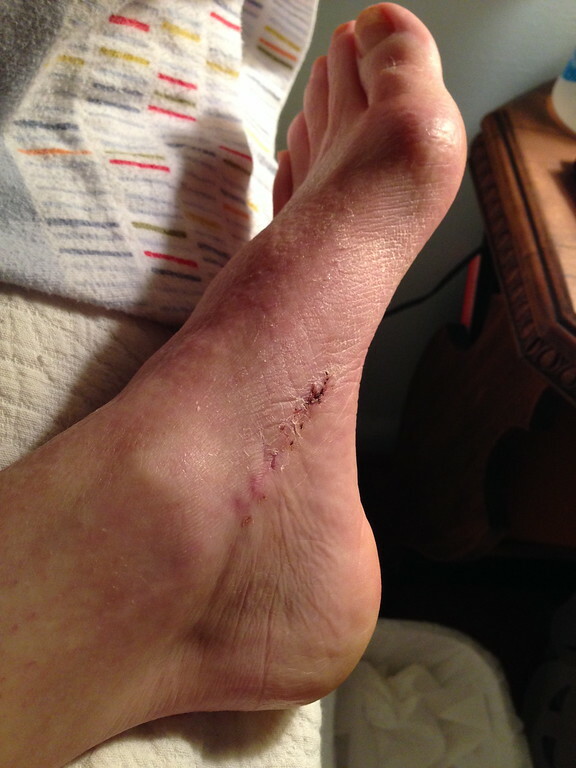 There was no swelling, and I was cleared to move into the walking boot and to bear weight on the foot, only 30% of my body weight the first week, using crutches. That was a hard first week. Bearing weight on the foot hurt. And I seemed to have forgotten how to walk. Lurch, I could do. But it was wonderful to be able to remove the boot and sleep and bathe unencumbered. 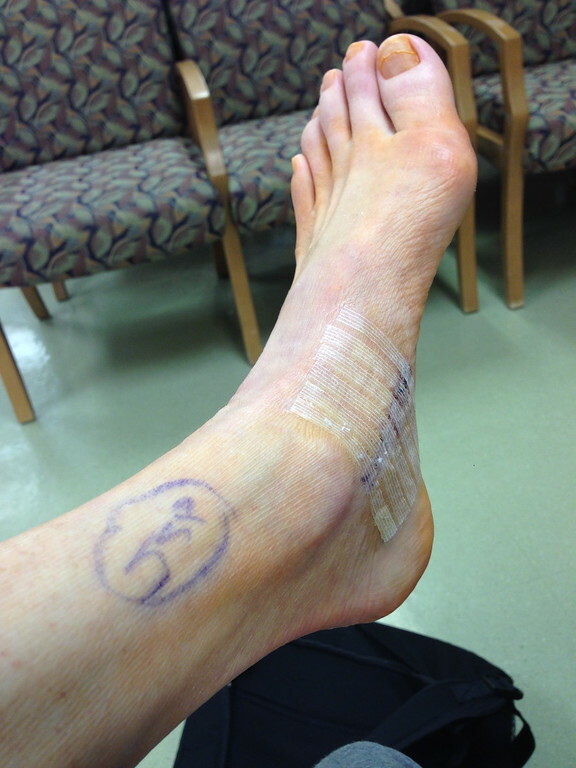 I began physical therapy to regain my range of motion and to start to strengthen the tendon. After another six weeks I had abandoned the crutches and was getting around okay in the walking boot, though my first walk to the park (two blocks and back, maybe) exhausted my foot. I was able to clear the car of snow and shovel a bit when AC was out of town for work. Kind neighbors used their snow-blower on the driveway, and Sam and Susie pitched in. 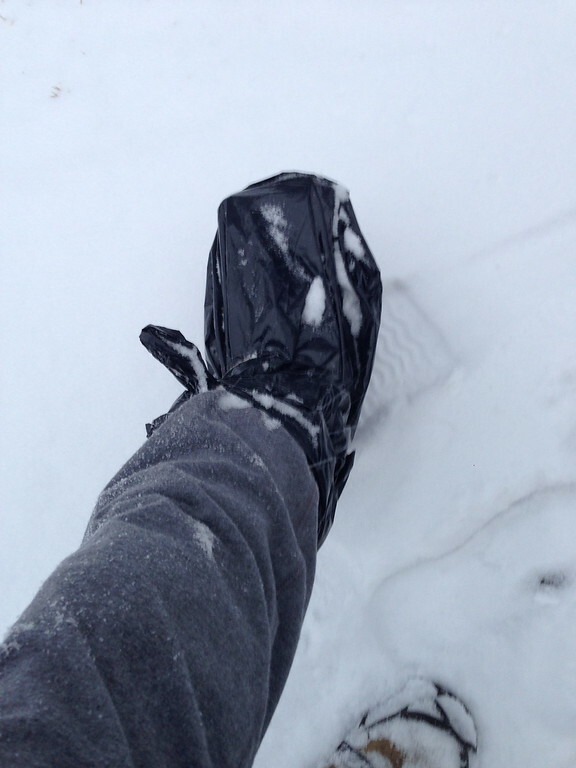 Notice my fancy water-proof boot cover! ABC liquor store bags: they’re strong. 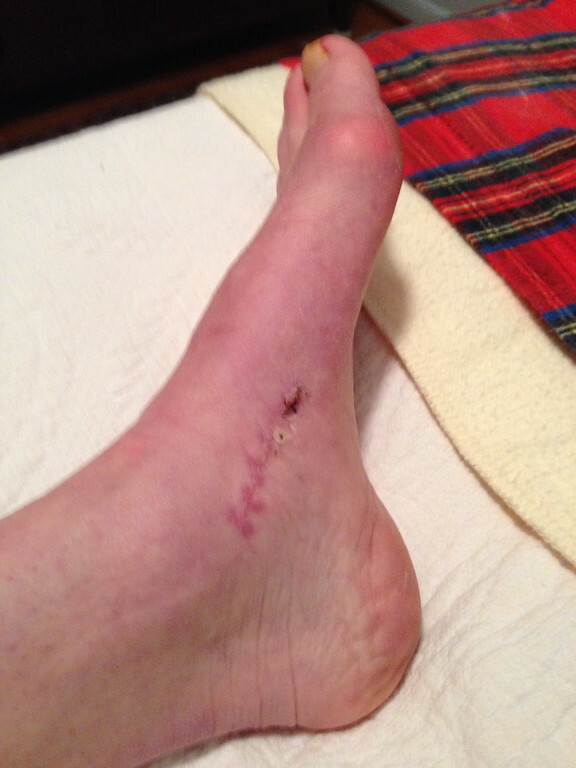 On March 12 the surgeon said I could start to transition out of the boot slowly, and changed my PT orders slightly. There had been a miscommunication with the PT, so there was a tendon exercise I was supposed to have been doing but only just started in the last week or so. Hopefully that will strengthen the tendon so that I can handle walking in normal shoes more and more. Three months post-surgery and I am now spending about an hour in regular shoes a day. The rest of the time I am in the walking boot. And I am on my feet nearly all day anyway, having resumed all of my pre-surgery activities. I still have a LONG ways to go, but at least there is progress. I can’t wait to be able to walk and run and jump and dance and move like I used to. I do struggle with impatience. And sometimes I worry that I’ll never be completely pain free. But at least I can stand on two feet again in the shower. And the lurching is approaching something more of a walk. I could definitely hold my own in a zombie race. 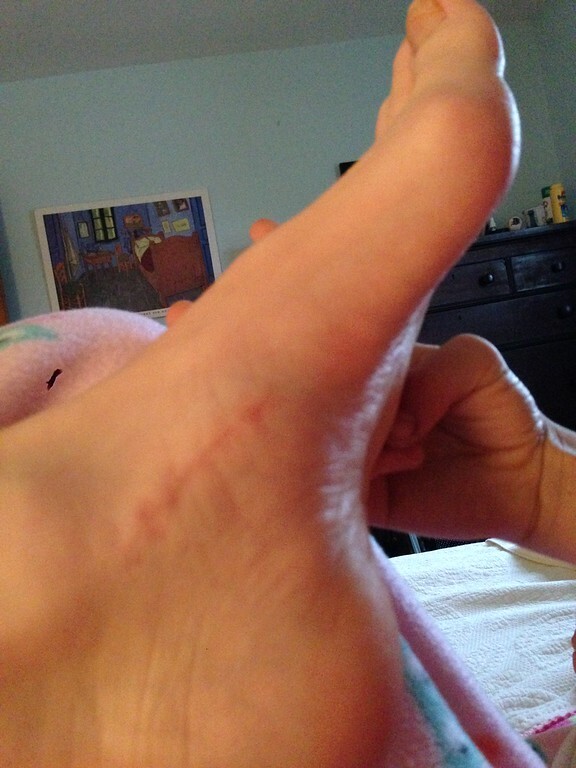 This entry was posted on Monday, March 23rd, 2015 at 10:07 pm	and is filed under 2015, Surgery. You can follow any responses to this entry through the RSS 2.0 feed. You can leave a response, or trackback from your own site.